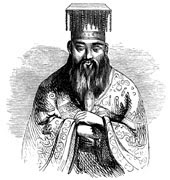 I like this quote by Confucius: "It does not matter how slowly you go, so long as you do not stop". This quote emphasizes the importance of keeping on taking steps and keeping on moving. At the same time it relaxes the idea of having to be fast and take large steps. This is, of course, a familiar idea in the solution-focused approach (see this article on small steps). Not only is it often not necessary to go fast, it can sometimes even be a disadvantage as this quote by Insoo Kim Berg points out: "..at times, "going slow" seems to get you there faster."